The 74 is a nonprofit, nonpartisan national news organization covering K-12 education. The organization’s mission is to spotlight innovative thinking and models that are helping students succeed, to cover and analyze education policy and politics, and to use journalism to challenge the conditions that deny too many children access to a quality education. 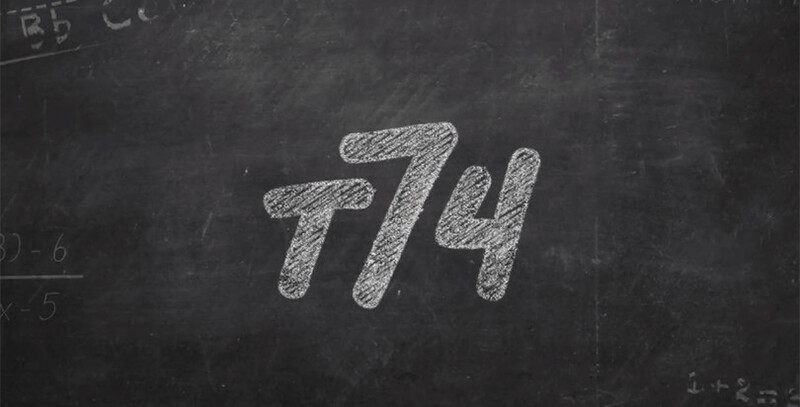 The 74 is committed to reporting stories without fear or favor about what is working well for students and families, and to expose and hold accountable the systems that are failing them. The following is The 74’s code of ethics, which governs how our reporters and editors do their jobs in a manner that is fair, transparent, and truthful. The code is derived from other policies in place at respected nonprofit news sites, including ProPublica, The Marshall Project, and The Texas Tribune, and reflects the guidelines set forth by the Society of Professional Journalists. As a nonprofit news organization, The 74 is supported by donations from foundations, corporate sponsors, and individuals. Donors do not dictate editorial coverage and understand that The 74 may publish content that does not reflect their views or preferences. Our stories will include a disclosure when we write about organizations supported by our donors or members of our board. Strive for accuracy first and foremost and confirm the truth of our reporting with as many sources as possible. In those instances where we make a mistake or our reporting is unclear, we will promptly correct the mistake, mark content as updated, and publish a correction or clarification where warranted. Actively seek to give all parties we write about the opportunity to share their views, especially in stories where individuals or organizations are accused of wrongdoing. Reach out to a diverse range of voices for our reporting while making special effort to give a platform to the perspective and experiences of children and families. Identify all sources and use anonymous sources only when necessary (for example, in cases where their information is vital and cannot be gotten any other way, or stories where a source could be harmed). Reporters and editors will examine a source’s potential motives for seeking to shield his or her identity; when unnamed sources do appear, we will explain our rationale and disclose as much context as possible so the reader can fairly weigh their comments. Keep any promises made to protect a source’s identity. Spell out beforehand with any source or potential source what it means to share information “off the record” or “on background” and the difference between the two. Not doctor the content of news photos or videos. Editors may improve the technical quality of photos, videos, and audio recordings but not in a way that alters their meaning. Photo illustrations, graphics, and animation will be labeled and sourced. Retain editorial control over all articles and photo selections; final versions of stories may not be shared with outside sources or funders prior to publication. Not mislead our audience with headlines, talking points, social media promotion, photos, video, audio, graphics, sound bites, or quotations that do not represent the true nature of our content. Never plagiarize. Fully attribute and actively link to all information derived from other sources. Openly identify ourselves. Undercover reporting or obtaining information by trickery or disguise is not permissible except in very rare circumstances, which would require the approval of a supervising editor and would be explained to the reader in the article. Never pay for interviews or information. Avoid stereotyping by race, gender, gender identity, age, religion, ethnicity, geography, sexual orientation, disability, physical appearance, or social status. Strive to keep personal and cultural bias from swaying our storytelling. Distinguish opinion and analysis from news, and label accordingly. Treat people with dignity and respect, and show compassion for those whose lives have been touched by tragedy or are simply caught up in the news of the day. Understand the difference between public and private figures, their skill and familiarity in dealing with the media, and their expectations for privacy, and act accordingly. Use special care when dealing with children. Seek to contact the parents, guardians, or advocates of students younger than 16 when they are interviewed or photographed without an adult’s knowledge or consent, when they share information that could thrust them into the spotlight, or when they or others could suffer negative consequences from their public statements. Contact the parents, guardians, or advocates of students 16 and older who share particularly sensitive or personal information. Requests to omit a child’s name from a story, or change a child’s name in a story, should be given greater weight than for an adult, but readers must be told of the omission or change and the reason for it. Be judicious about identifying juvenile suspects, victims of sexual assault, and those suspected of, but not charged with, a crime, and err on the side of privacy where possible. Avoid conflicts of interest, real or perceived, and disclose them when they are unavoidable. Refrain from working on any story where they or their immediate family have a vested interest, either personal or financial. Seek permission for any outside freelancing to ensure it does not conflict with the reporting, principles, and purpose of The 74. Refuse gifts, favors, fees, meals, free travel, and special treatment from sources. Identify and acknowledge any donors who sponsor events held by The 74. Sponsors do not determine event content or choose participants. Members of the editorial team may moderate panels or speak at events hosted by The 74 and underwritten by donors in their role as journalists. Decline speaking fees while participating, in the role of journalist, at events held by other groups where the conversation concerns the education of America’s 74 million children.